Black Friday is the best time to buy a server or sign up for CDN and streaming. We offer our services on favorable terms. All offers are valid for new customers only until December 31, 2018. Get a dedicated or virtual server 30 % cheaper now! The discount is valid for the first month after purchasing any server. Sign up for G-CDN for 1 year and get 2 months of free CDN service (within the monthly traffic limit). Or sign up for G-CDN for 2 years and get 3 months of free CDN service (within the monthly traffic limit). Sign up for an annual contract for G-Stream and get 1 month of streaming service for free. 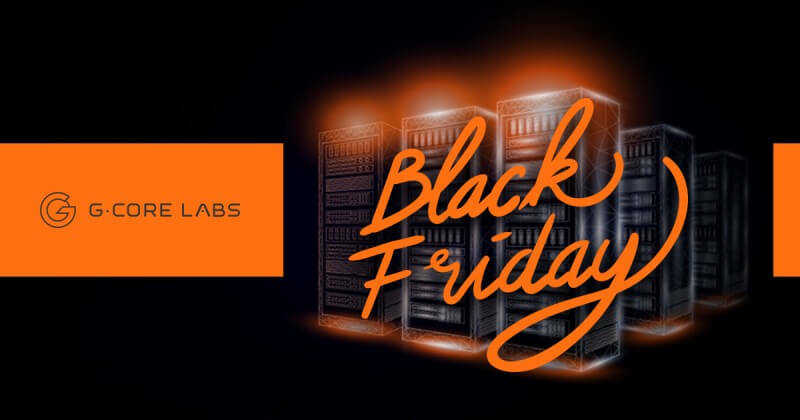 To take advantage of Black Friday offers for G-CDN and G-Stream, fill out the form.